Dear Mamilla Hotel Guest, Thank you for your recent Mamilla Hotel stay, and for taking the time to review us. We are grateful to know that our hotel greatly appealed to you, largely on account of Ms. Chang's courteous and dedicated assistance. You also mention the hotel's design, the fine dining experienced in our RoofTop and Happy Fish Restaurants, and we are thrilled to share your utmost satisfaction with our team. It is wonderful to know of your intention to return to Mamilla Hotel, and we certainly look forward to welcoming you back on your next visits to Jerusalem! Sincerely, Emanuel Rabbanian Shapira Brand Ambassador, Alrov Luxury Hotels. Dear Mamilla Hotel Guest, Thank you for taking the time to review your excellent Mamilla Hotel stay. We are very pleased to read that our location benefited you greatly, that you loved Mamilla Hotel's unique design, enjoyed dining in our RoofTop restaurant, and that Ms.Chang's dedicated and efficient service greatly contributed to your positive experience. It will be a pleasure and a privilege for us to host and be of service to you again on your future visits to Jerusalem. Sincerely, Emanuel Rabbanian Shapira Brand Ambassador, Alrov Luxury Hotels. Dear Mamilla Hotel Guest, Thank you for your recent Mamilla Hotel stay, and for taking of your time to share your Top Rating and wonderful review! We are grateful to you for recognizing the significant contribution of Ms.Carren Chang from Guest Relations, in ensuring your comfort and well-being throughout your stay. You are very important to us, and it is important for us to know from our guests' experience that their needs are being met in a seamless and efficient manner. Thank you for also mentioning Ms. Chang's dedication and helpfulness in assisting you with retrieving an item which was left behind. Looking forward to the pleasure of hosting you again. Sincerely yours, Emanuel Rabbanian Shapira Brand Ambassador, Alrov Luxury Hotels. Dear Mamilla Hotel Guest, Thank you for your truly remarkable review, following an excellent stay at our hotel. 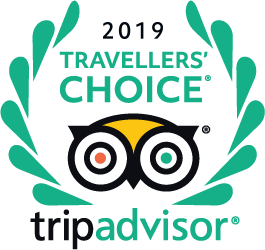 I am thrilled to know that you found everything you needed and more, that our pivotal location amidst Jerusalem's most esteemed touristic sites and fashionable hot-spots greatly benefited you during your stay. I thank you also for fully appreciating the value of our rich and healthy breakfast buffet. Your glowing review is exquisite, and we hope to have the pleasure of welcoming you back soon for another luxurious Mamilla Hotel stay! Sincerely yours, Emanuel Rabbanian Shapira Brand Ambassador, Alrov Luxury Hotels. What kashrut does the hotel have? The hotel is 100% kosher with permanent kashrut supervision in the hotel. You can even see the supervisor around every time you go for a meal. I want to know if there are rooms with balcony and hairdryer and rope? Thank you for your interest in Mamilla hotel. Mamilla hotel's rooms do not have balconies which allows the guest to sit. A couple of guest floors have a step out which allows one to stand outside. The space is limited. The guestrooms have hairdryers. I assume that when you wrote "rope" you meant "bathrobes". Mamilla hotel provides bathrobes for guest usage during their stay. Do you charge for parking ? Parking costs 50 NIS per vehicle /per night. It also includes valet parking. How much does dinner cost on Friday night? You need to reserve, but in June 2018, the fixed charge for Friday night dinner was US$ 120/person. Thank you for your question. Friday night dinner costs 350 NIS per person which includes VAT. The price does includes kiddush wine. All other beverages are at an extra cost.